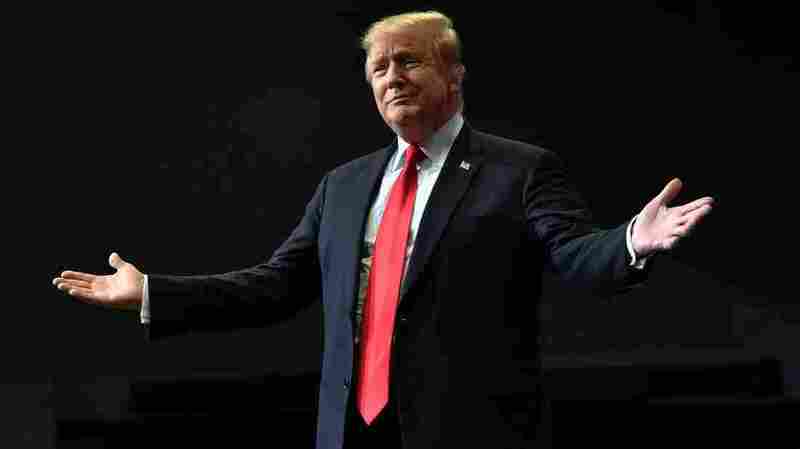 What The Mueller Report May Reveal About Trump-Russia Investigation The top-line conclusions are already out — the special counsel didn't establish collusion or obstruction, according to the attorney general. But there might be so much more to learn. President Trump arrives for a campaign rally in Grand Rapids, Mich., last week. The headline findings by special counsel Robert Mueller delivered a political shot in the arm for President Trump and Republicans, they say — how long it lasts may depend on the full document. Attorney General William Barr told Congress that Mueller's office didn't establish a conspiracy between Trump's campaign and Russian interference in the 2016 election, nor did it establish — per Barr — that Trump obstructed justice. That's based on Barr's four-page letter about the report to Congress. The full document is nearly 400 pages, he wrote, and likely contains a great deal more detail about the findings and assessments made by Mueller and his office. Barr's office is working now to redact grand jury testimony, foreign intelligence and other material from the full Mueller report before releasing it sometime this month. Here are some of the big questions it may answer. Trump's campaign and business had many contacts with Russians from 2015 through the 2016 election — these are not in dispute and they were among the reasons for the investigation in the first place. Mueller, in fact — according to Barr — confirmed that "Russian-affiliated individuals" made "multiple offers" to "assist the Trump campaign," which comports with the versions of events given in court documents and according to other official sources that already are public. Did the substance of any of these offers ever reach Trump or other members of his brain trust? If so, what did they do? People who worked for Trump have said nothing happened in his business or campaign without his involvement. 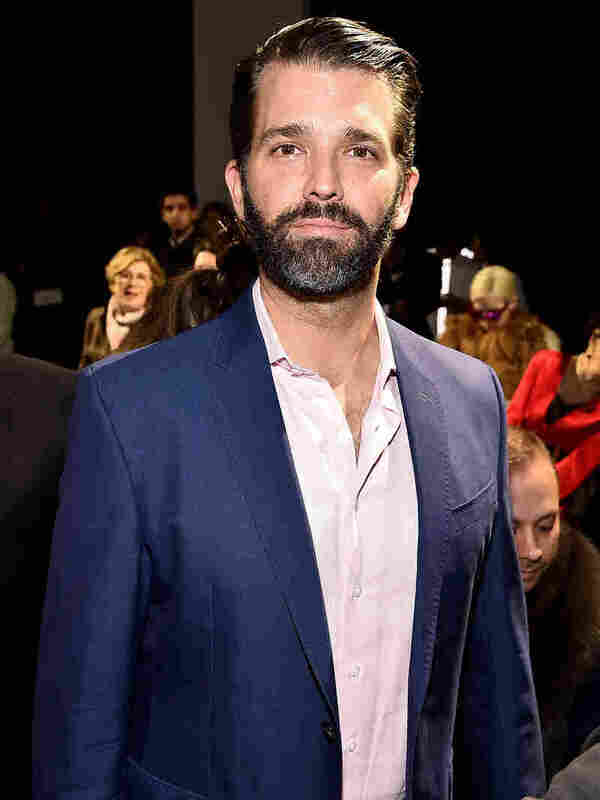 Donald Trump Jr. attends a fashion show during New York Fashion Week in February in New York City. That's why, for example, former Trump aides have said they thought it likely he was at least aware that Donald Trump Jr. convened a meeting at Trump Tower in June 2016 at which a Russian delegation delivered a tip on Democrats. Trump Jr. said it wasn't what he expected and he didn't pursue it any further, and authorities evidently did not conclude it broke the law. No one faced criminal charges in connection with that meeting and the Justice Department says Mueller hasn't recommended any more indictments beyond the ones that already have been unsealed. And Trump has denied he was aware in 2016 of the Russian interference in the election and of the Trump Tower meeting specifically. Democratic opponents said they thought phone records might undermine that denial, but they didn't. If Mueller's full report further bolsters the Trumps' defenses, that will mean more good political news for the president and his family. If Mueller's report established that Trump did know what was happening and, while he didn't conspire with Russia's efforts, he also didn't report them to authorities, that may take away some of the political momentum Trump and the GOP have built up so far from the Barr account of Mueller's findings. What did the feds establish about the dossier? The unverified Russia dossier was not the origin of the Russia investigation, but it may be the most infamous piece of information about it. NPR has not detailed its claims because they are unverified. The degree to which Mueller's full report specifically addresses the material in the dossier could be one of its most important developments for the politics of the post-Mueller era. If the full report torpedoes the dossier altogether, that will strengthen efforts like those by Senate Judiciary Committee Chairman Lindsey Graham, R-S.C., who wants an investigation into how the FBI and Justice Department used it in the Russia investigation. If Mueller substantiates some of the dossier's contents, that could create problems for the White House short of the worst-case "collusion" allegation that evidently now is off the table. 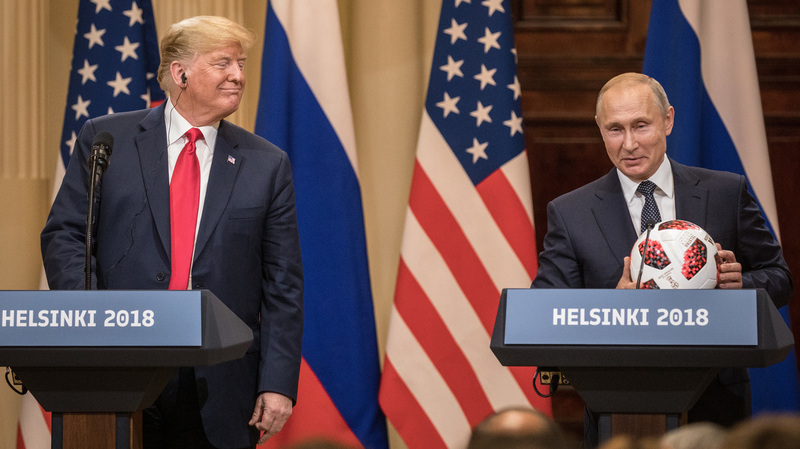 Russian President Vladimir Putin offers a World Cup football to President Trump during a joint news conference after their summit on July 16, 2018, in Helsinki. For example, one claim of the dossier was that powerful Russians may possess compromising material — or so-called kompromat — about Trump and that may have been why he took such sympathetic tone toward Moscow — for fear of it being revealed. Trump himself has dismissed that idea and said — for example, at his summit in Finland with Russian President Vladimir Putin — that if any such material about him existed, it would have become public by now. Democrats on the House intelligence committee wrote last year that certain aspects of the dossier have been corroborated — although the details about which aspects were redacted. Democrats also continue to ask whether Trump may be beholden to Russia or compromised by people in it — and whether that might be true even if, per Barr's letter, Trump's 2016 campaign didn't collude with the election interference. Mueller's findings about this could change the understanding of the Russia imbroglio yet again. What did Trump ask, and of whom, involving the various investigations? Alleged obstruction of justice was a potent threat to Trump because frustrating an investigation is illegal even when there was no underlying crime. That was another reason why Trump and Republicans welcomed Barr's letter about Mueller's findings so warmly. And it's one reason why Democrats reacted so strongly to Barr's characterization of Mueller's findings, of which the attorney general wrote: "'while this report does not conclude that the President committed a crime, it also does not exonerate him.' "
In short, Barr made it sound as though this came down to a judgment call. Barr and Rod Rosenstein, according to the attorney general, were the ones who concluded that Mueller's findings were insufficient to establish that Trump had committed a crime. So what were those findings? A number of press reports suggested Trump asked people — intelligence agency leaders, Justice Department or law enforcement officials and White House officials — to take actions that critics called obstruction of justice. Trump's alleged actions included requests for investigators to ease up on him or friends, for people to be fired or removed — or for safe loyalists to be placed onto cases — and for people to give inaccurate information to Congress. 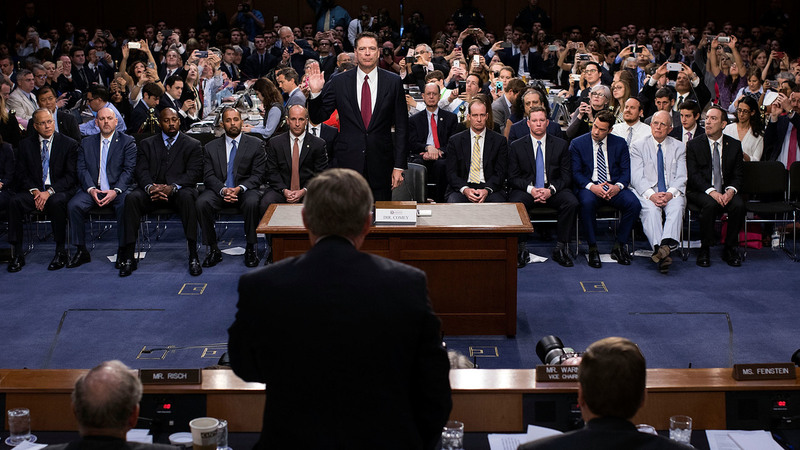 Former FBI Director James Comey is sworn in before testifying before the Senate intelligence committee on Capitol Hill on June 8, 2017, in Washington, D.C. Were those reports accurate? And if so, how much of the assessment depends on the president's exact words? Former FBI Director James Comey, for example, told the Senate intelligence committee that Trump said "I hope you can let this go," when alluding to the case of former national security adviser Mike Flynn. Trump, in this telling, did not say: I hereby order you to discontinue your investigation of Flynn. Trump, as his former personal lawyer Michael Cohen told the House oversight committee, often speaks in a "code." Mueller's report may reveal how much the Justice Department's decision not to prosecute on obstruction depended on the substance of his actions and how much on his use of that "code." What were the extent of the active measures? First, the social media agitation wrought by an office of trolls who sought to amplify divisions among Americans. Second, the use of cyberattacks to steal and release information embarrassing to political targets within the United States. But there was more to the Russian attack on the 2016 election. Intelligence officers, for example, also launched cyberattacks against state election systems that sought to study them and, in at least one case, extracted information about voters. People walk under a heavy snowfall in front of St. 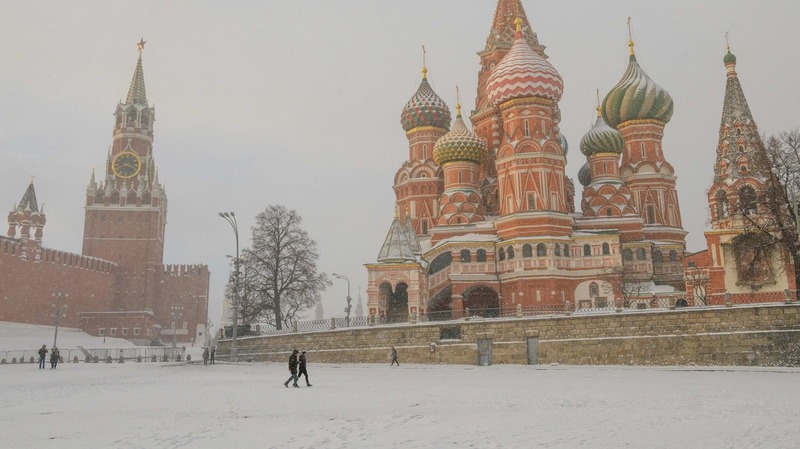 Basil's Cathedral and the Kremlin in Moscow in January. How many other types of "active measures" did the Russians wield in service of their aim to sow chaos and, eventually, help support Trump? Are there any types of interference that haven't been made public? Mueller's answers about the tools Russia used to interfere in the last presidential election will help Americans prepare to safeguard future elections. What were the origins of the active measures? The U.S. intelligence community assessed early on that Putin had ordered the influence campaign "to undermine public faith in the US democratic process, denigrate [Hillary] Clinton, and harm her electability and potential presidency." "Active measures" are as old as statecraft, but the 2016 campaign represented an unusual spike, one that caught American officials off guard. What more is known about when, precisely, Putin decided to launch it — and why? Who involved chose the techniques — and why? Americans have learned a great deal from Mueller's prosecutions about the operational workings of the Kremlin's active measures effort — the movement of the troops in what amounted to a war of information. What's less clear, for now, were the actions of their generals.